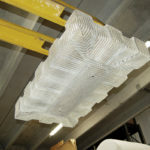 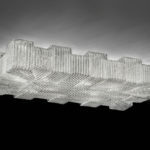 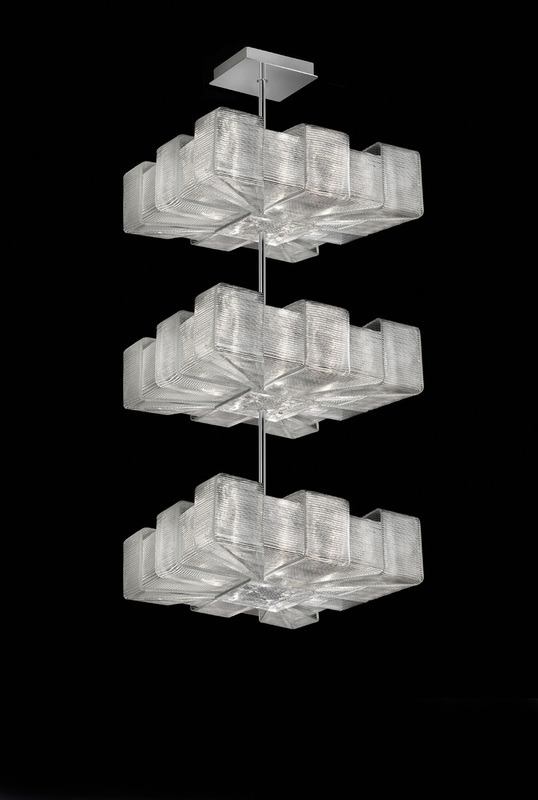 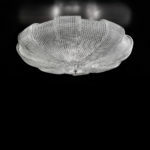 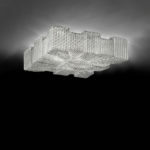 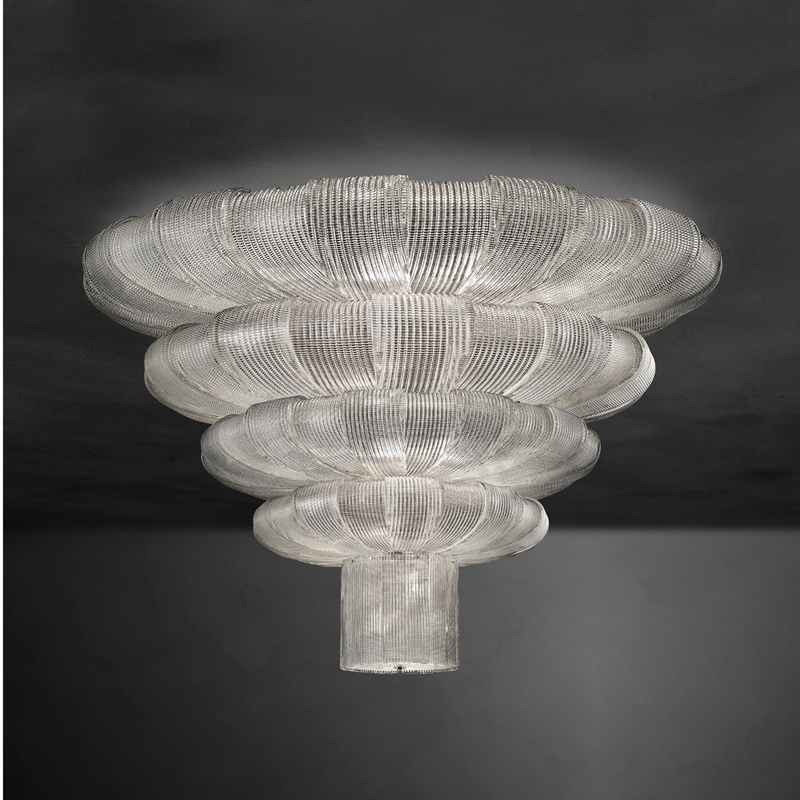 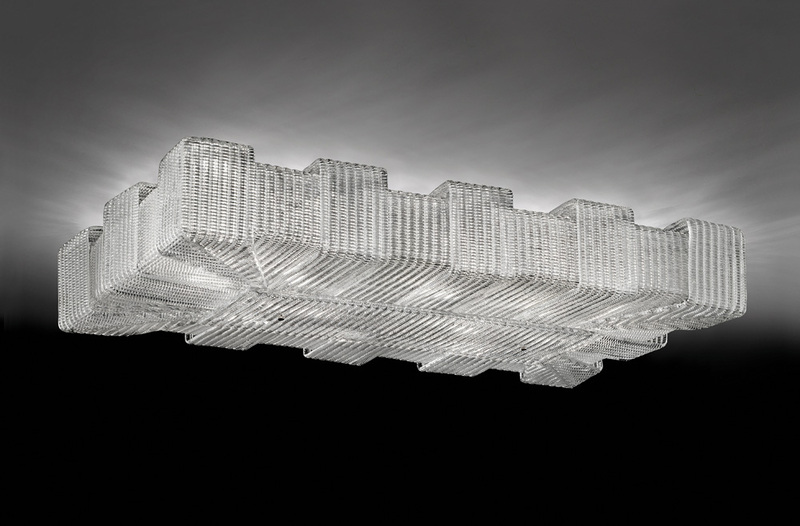 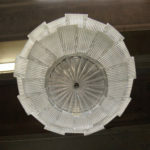 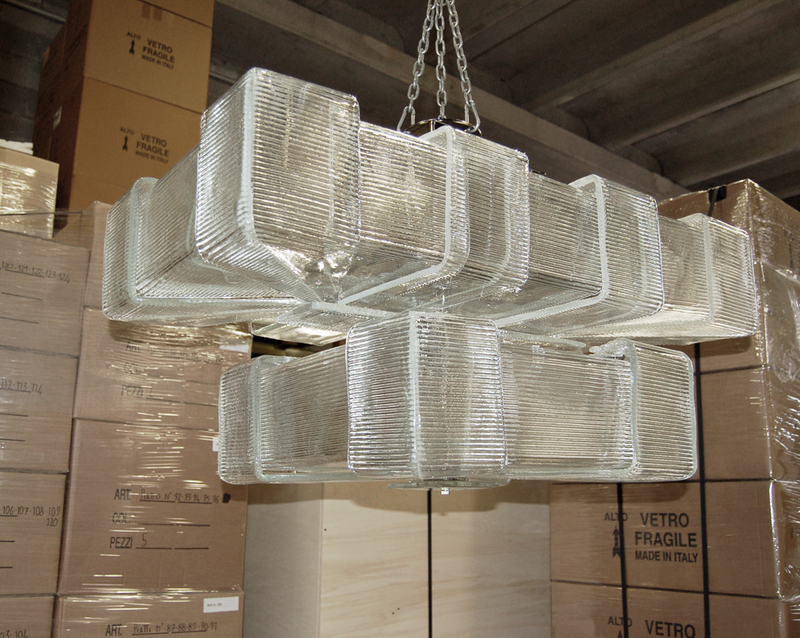 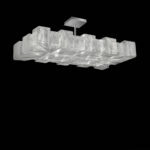 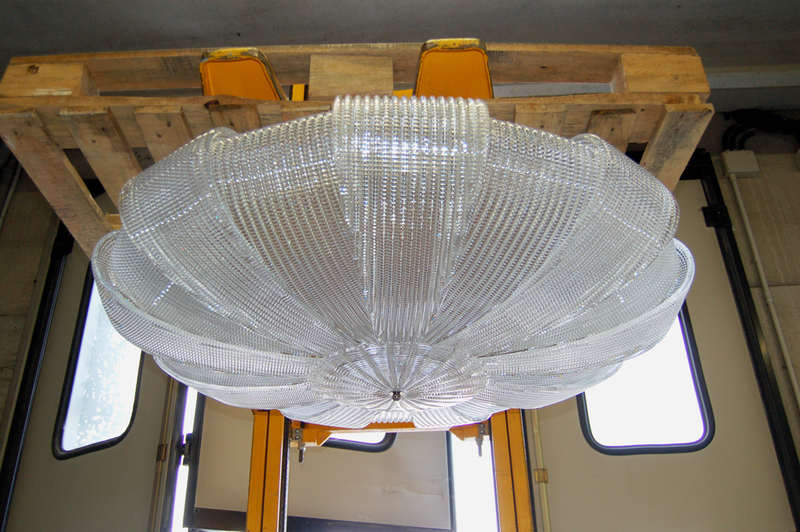 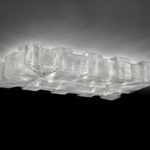 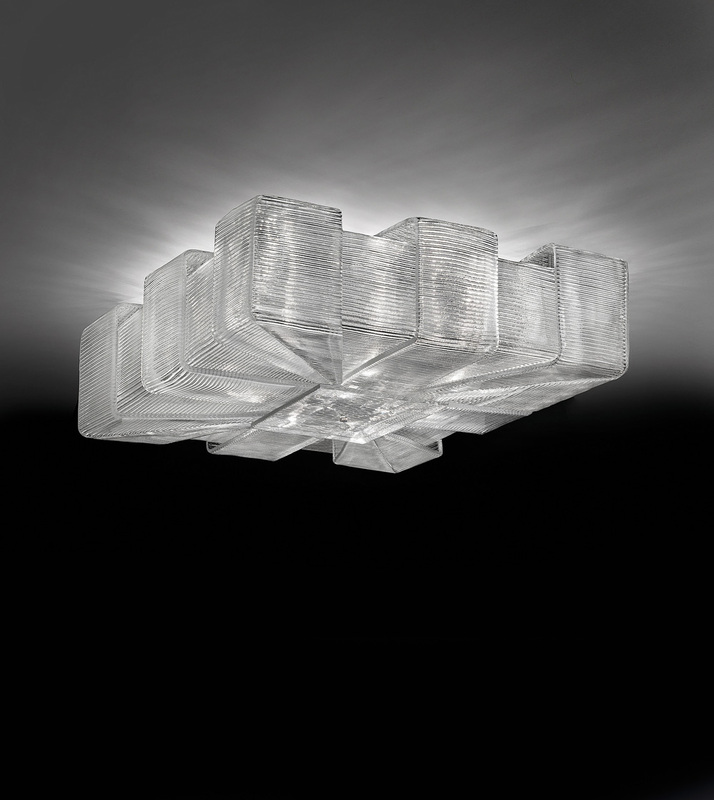 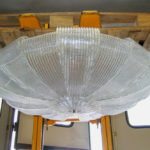 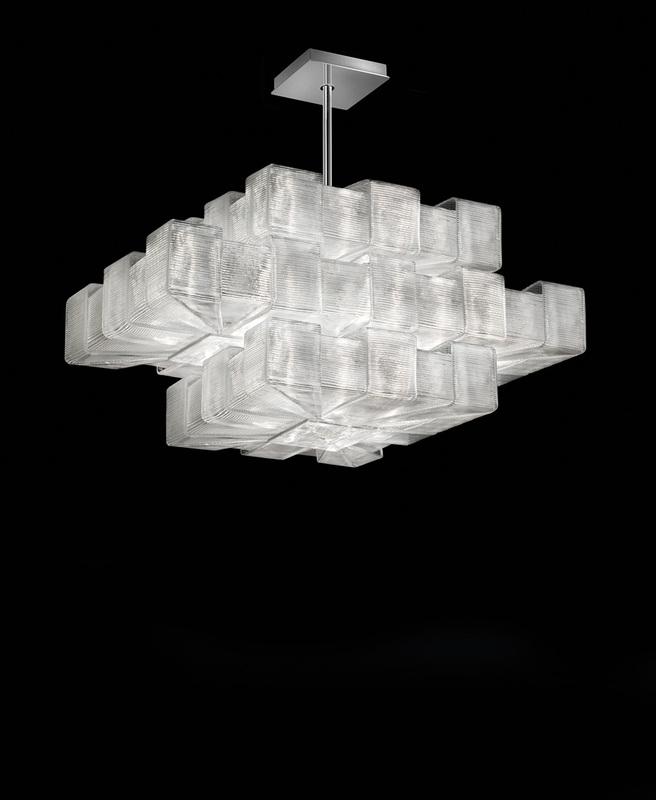 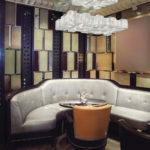 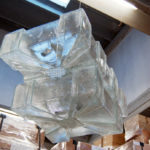 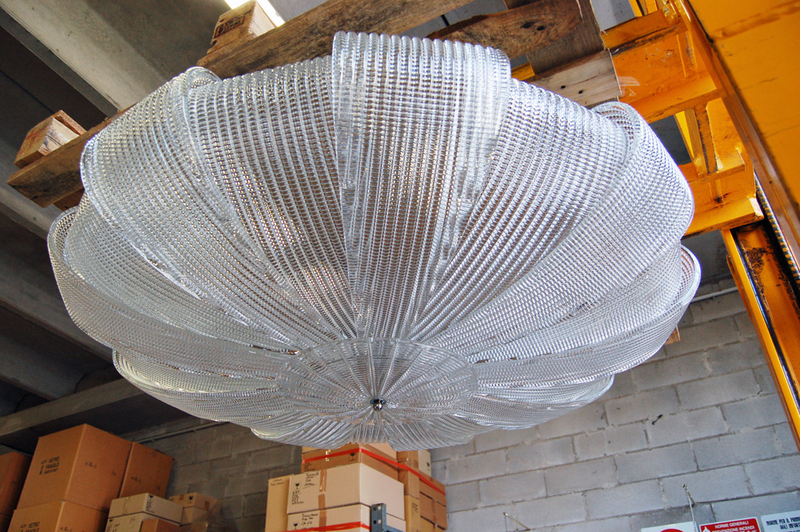 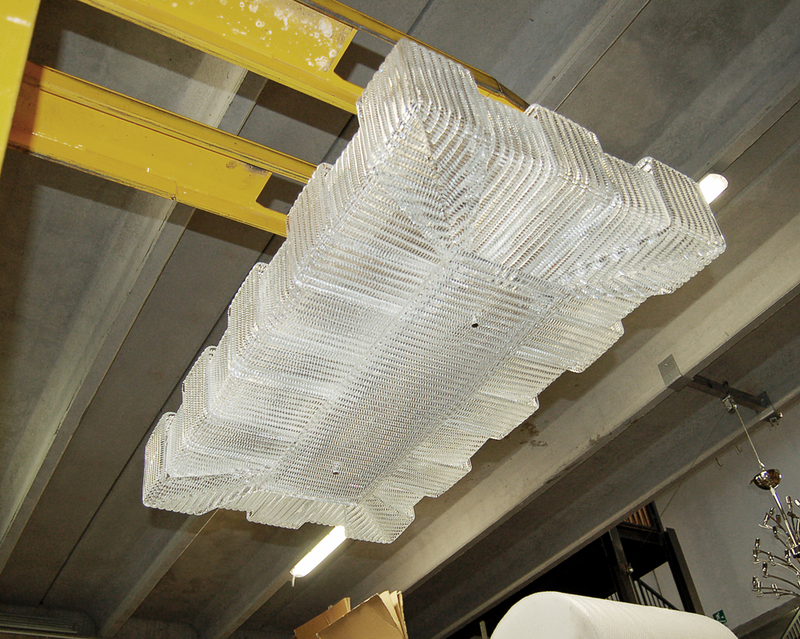 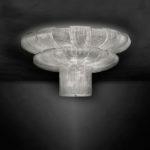 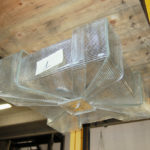 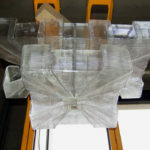 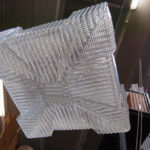 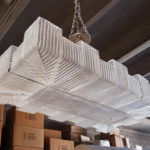 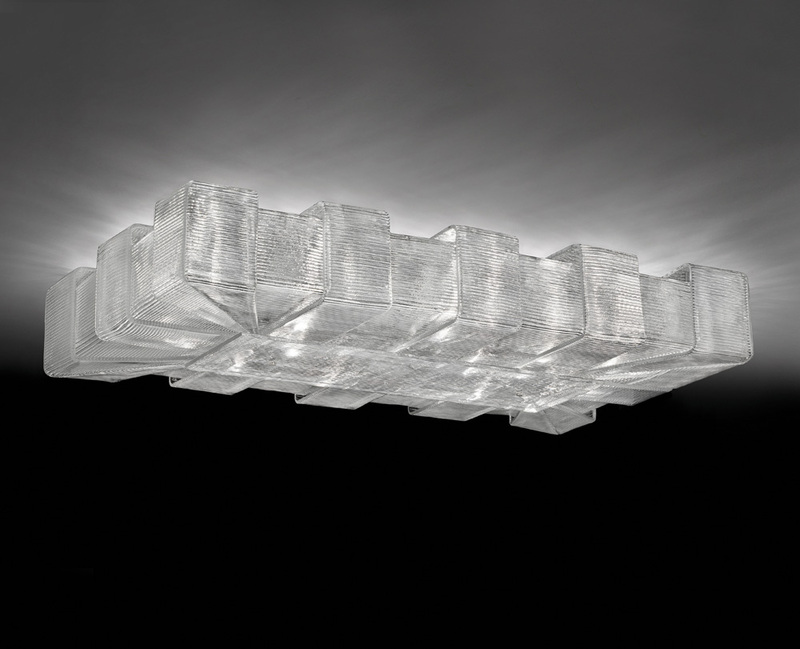 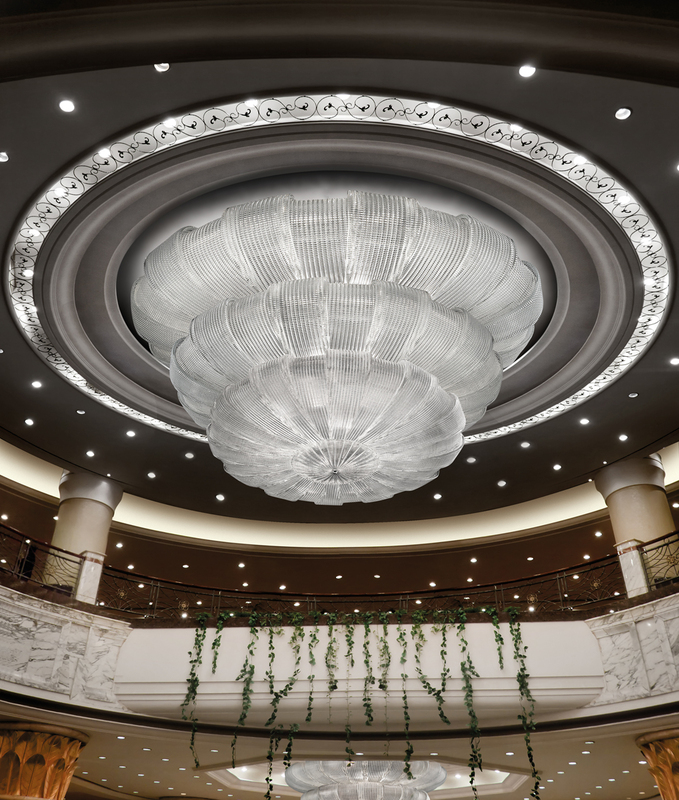 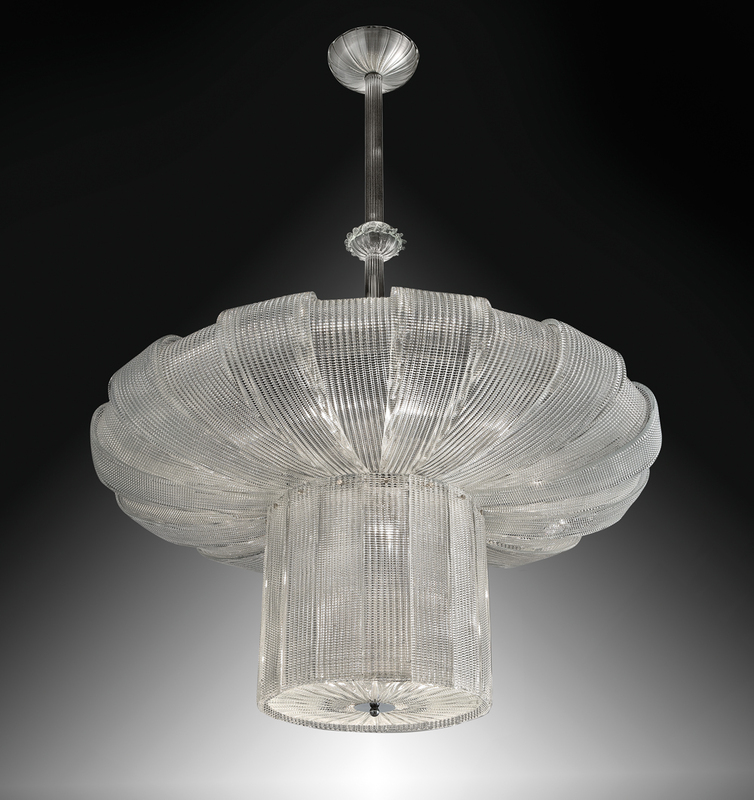 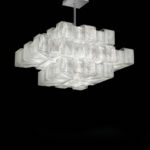 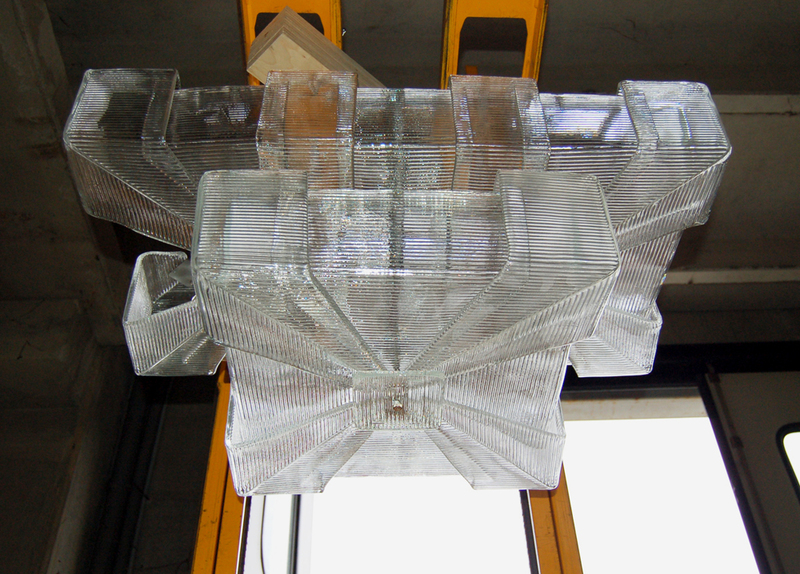 Overlap creations are light sculptures, exclusive Italian glass creations where the interaction of the glass elements creates dynamic effects and suggestions of light. 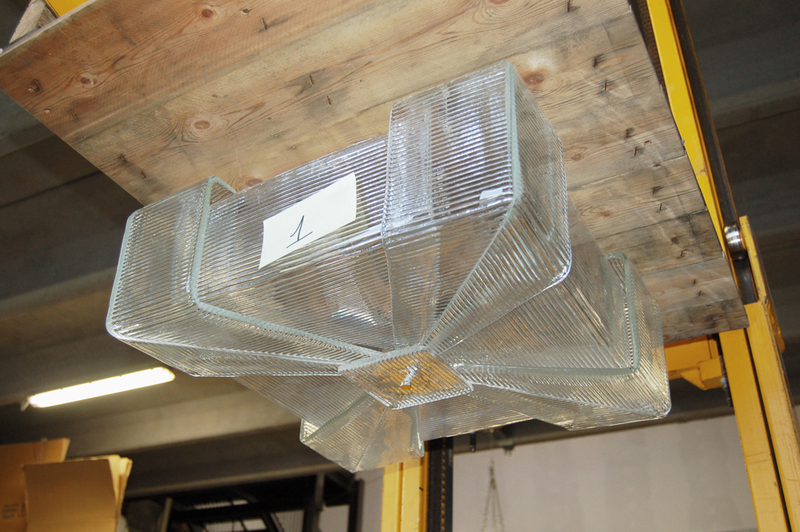 The glass panels are completely worked out by hand and custom-shaped in order to get a perfect fit, without gaps between each segment. 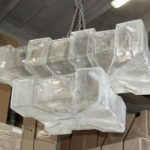 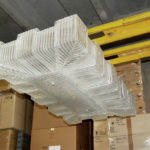 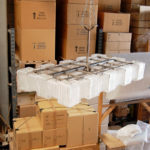 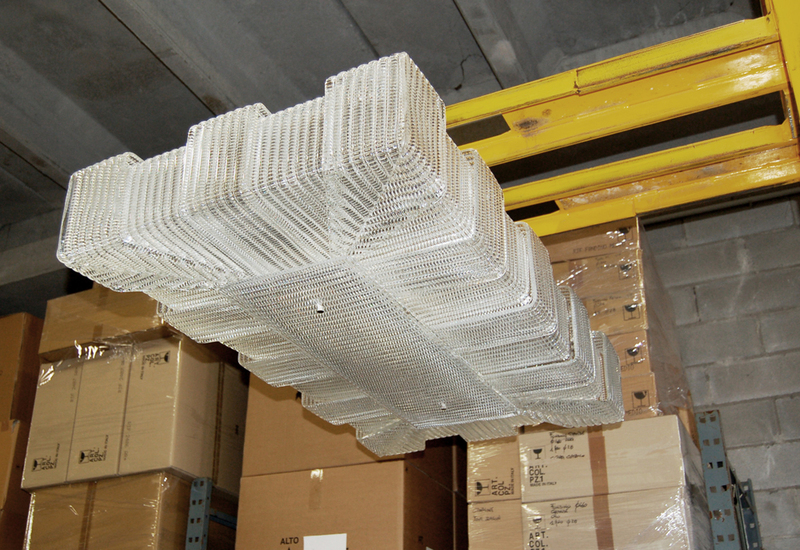 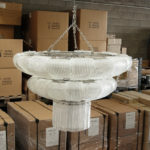 Every single glass-part is one of a kind, that is why they are individually numbered in sequence to install each glass-part in its right position. 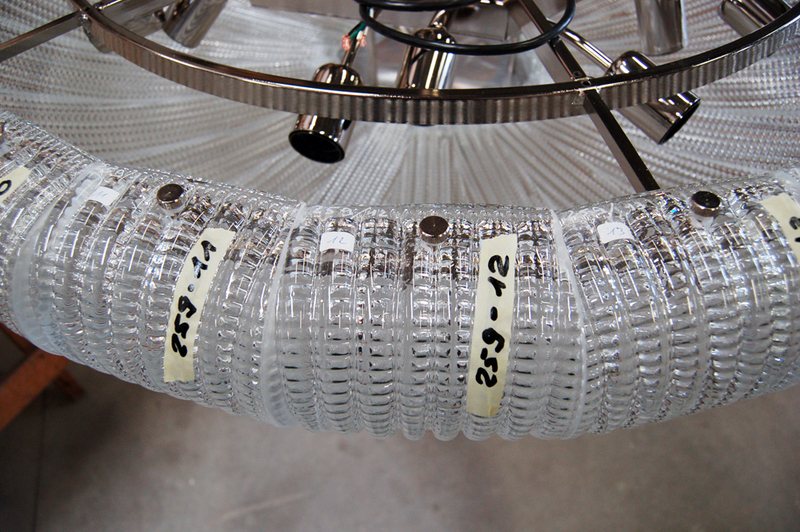 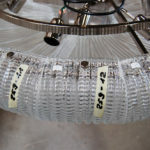 Each frame shows a punched-in numbering referring to the glass-parts produced and separately encoded. 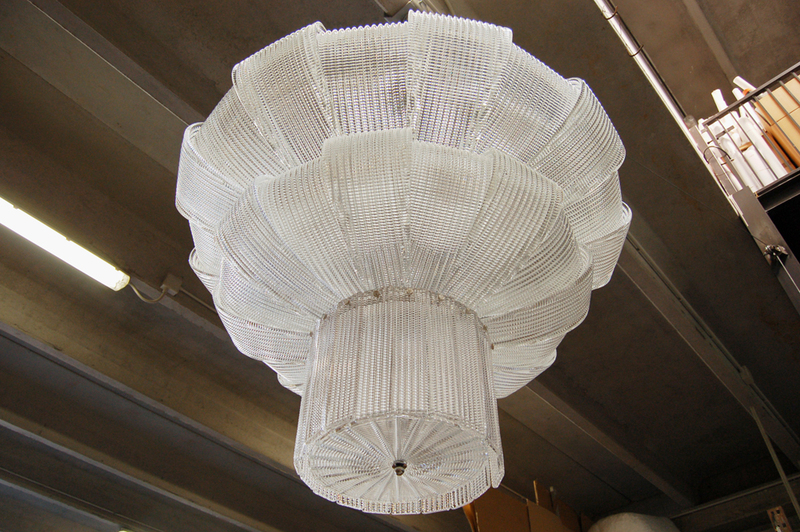 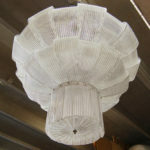 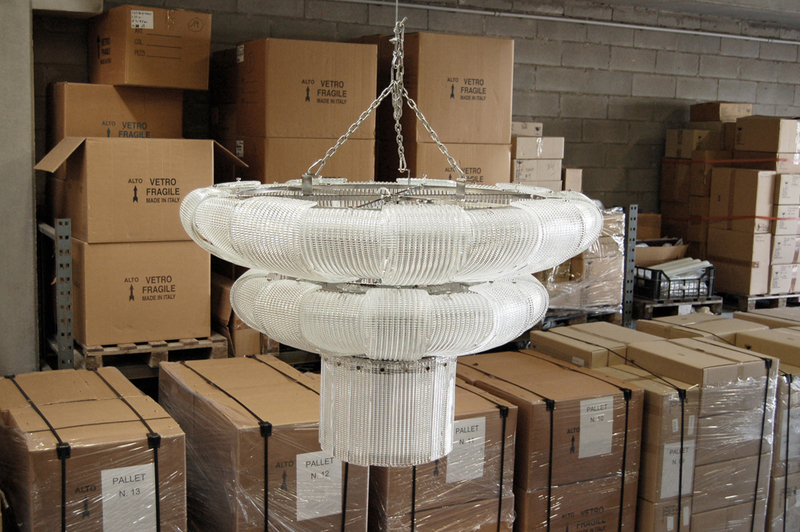 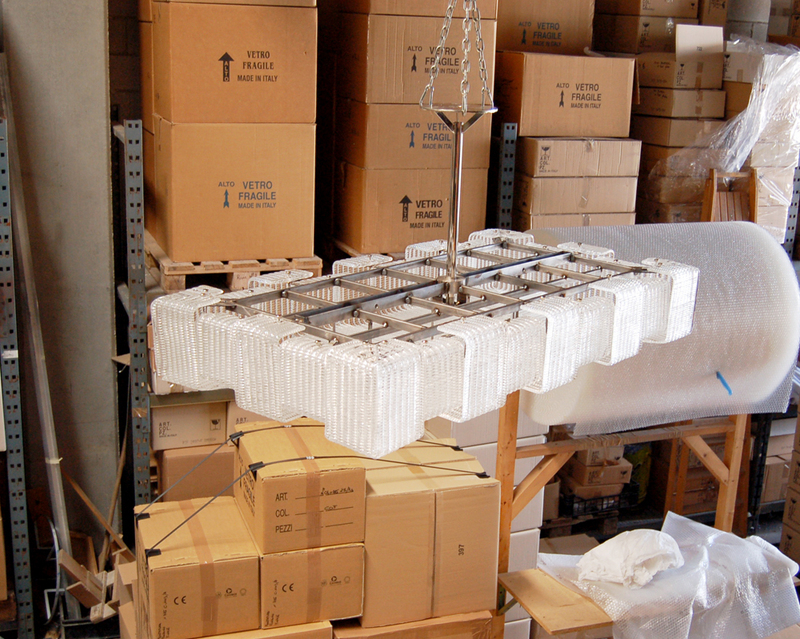 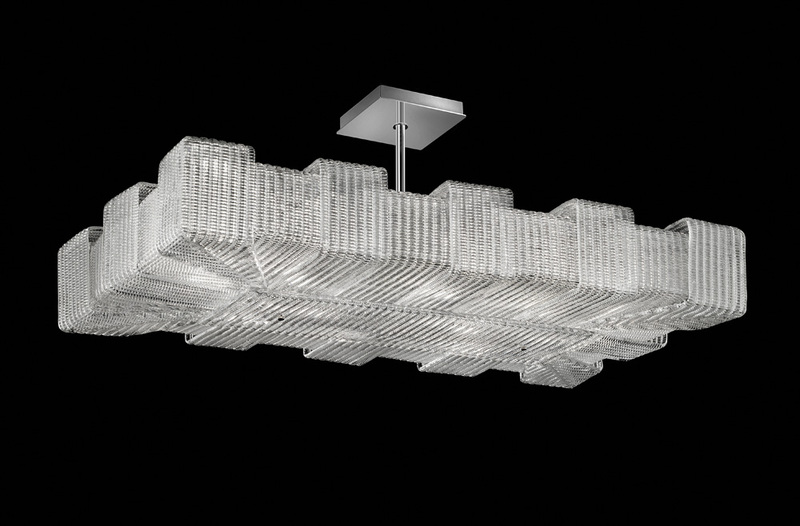 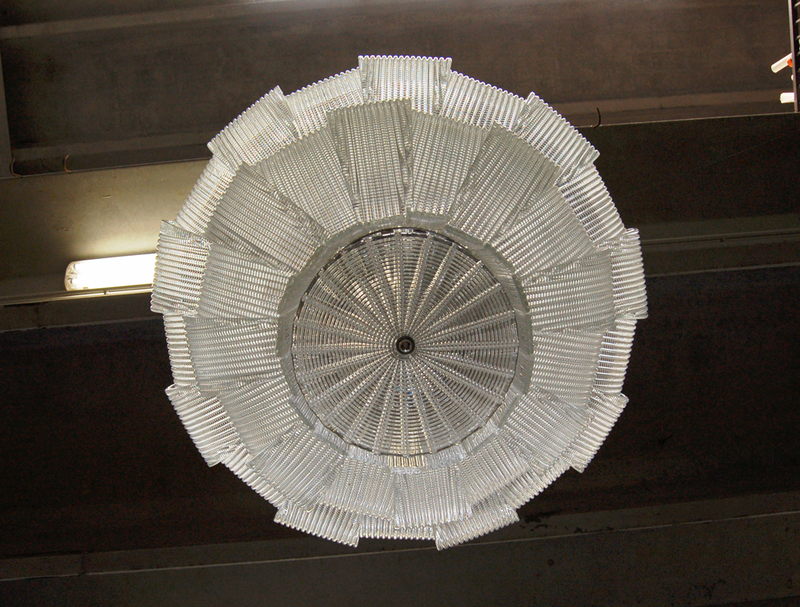 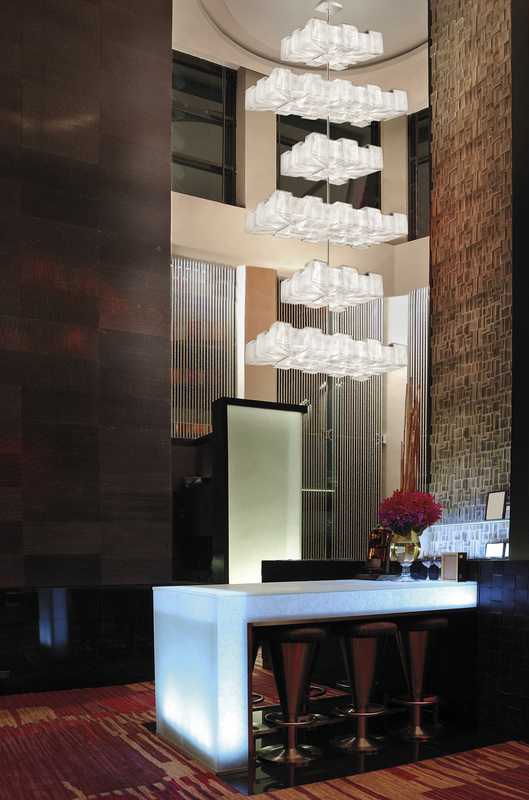 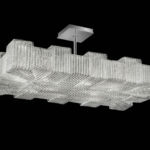 Now more than ever lighting design is a fundamental aspect of a design in an interior design project. 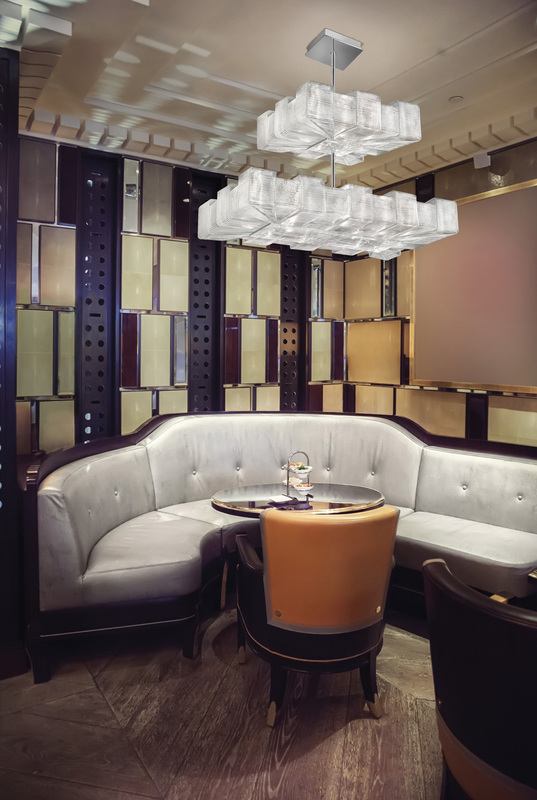 It’s essential to design task lighting, but also to set the mood; lighting must fit in a space and interact with its features and its colors. 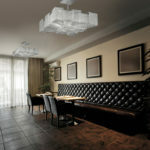 Our effort is to provide our customers (for example architectural and interior design studies) many alternatives and a wide range of customization possibilities (dimensions, shapes, colors and patterns). 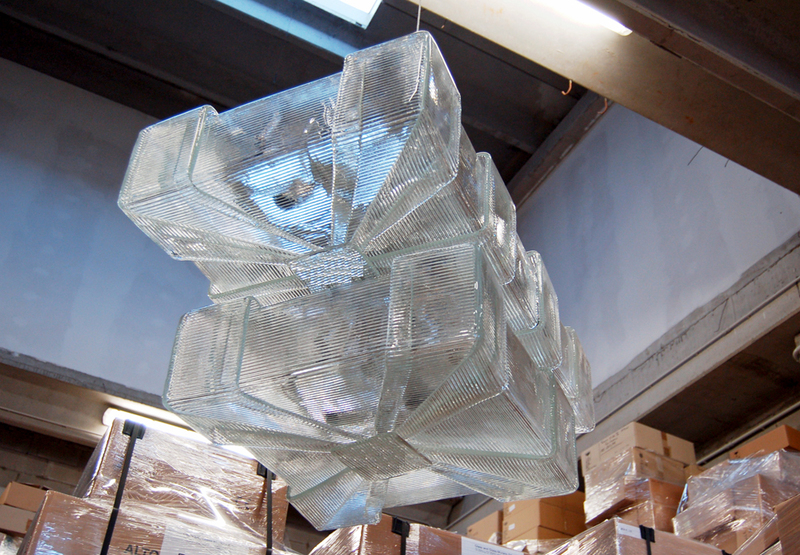 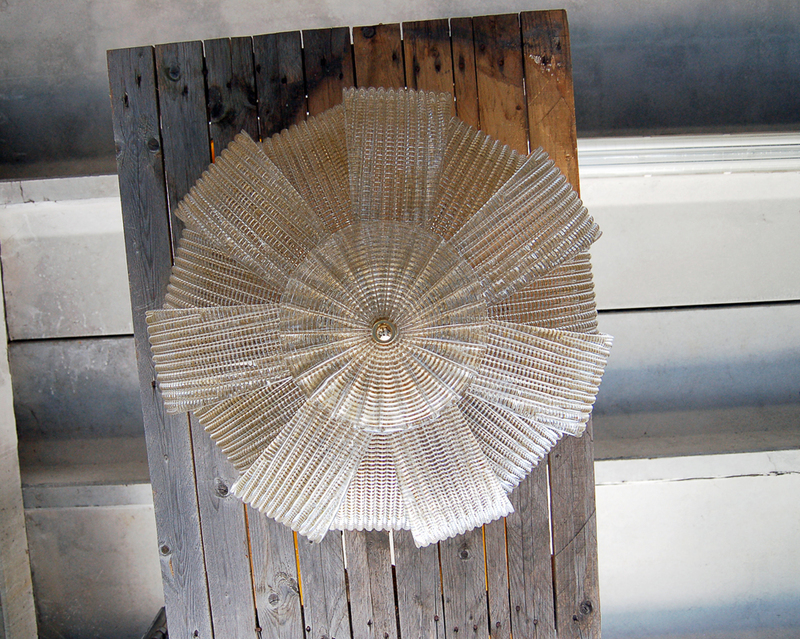 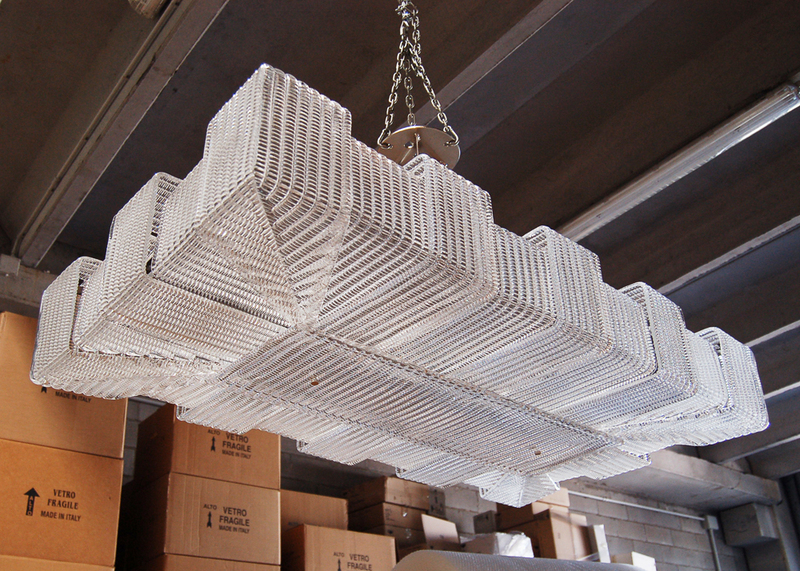 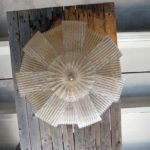 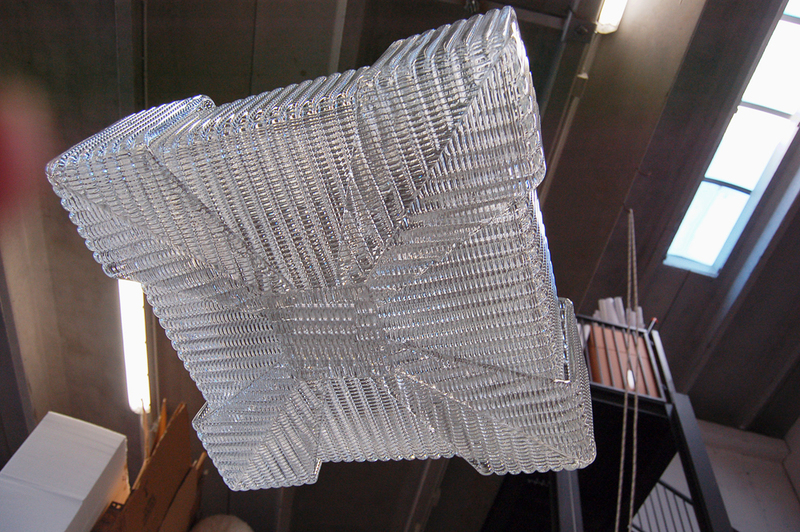 Our designers imagined three different glass patterns, to create different light effects. 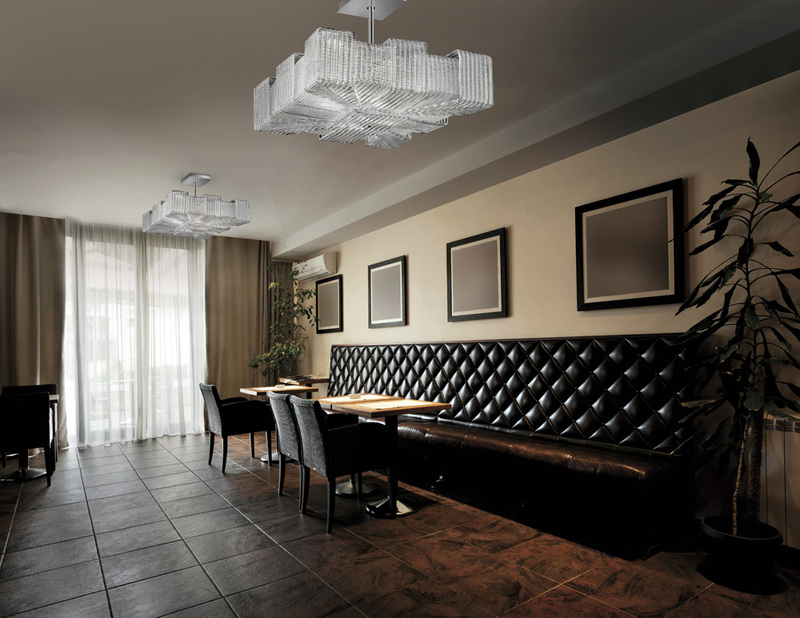 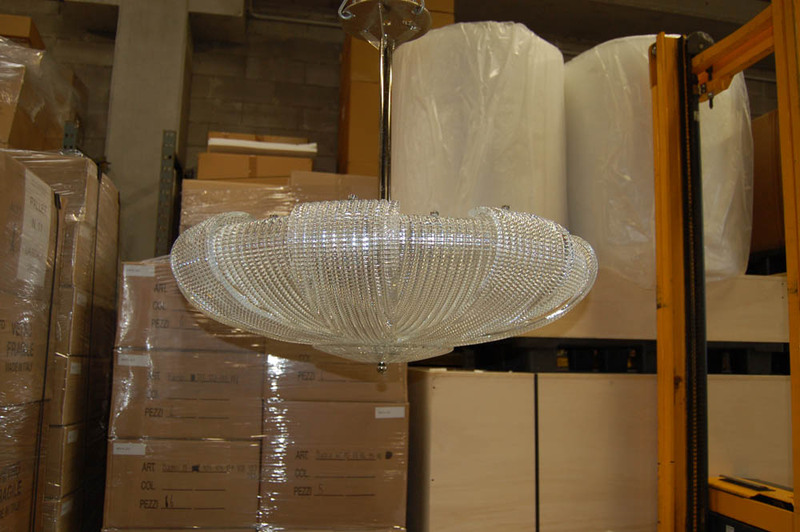 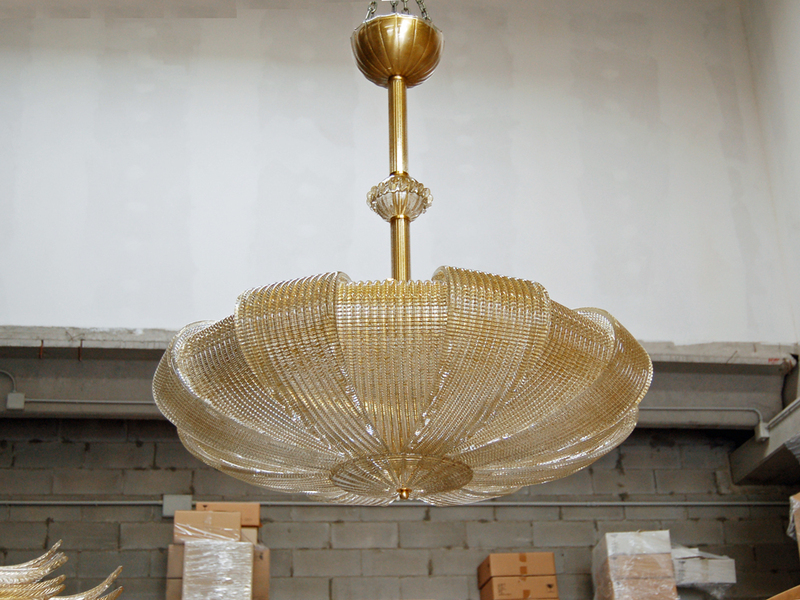 Both of them marvelously emphasize the refinement of the Murano glass processing. 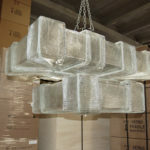 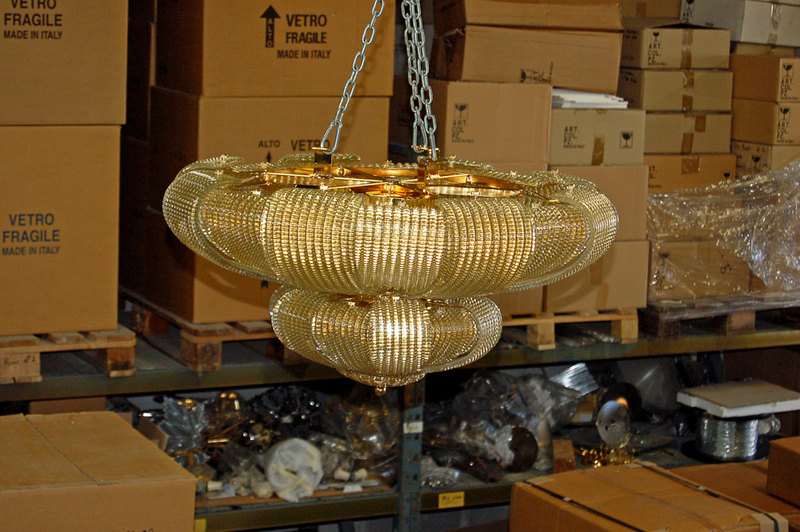 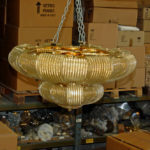 Standard Italian glass colors are two, crystal and gold crystal, but any other color can be produced on request. 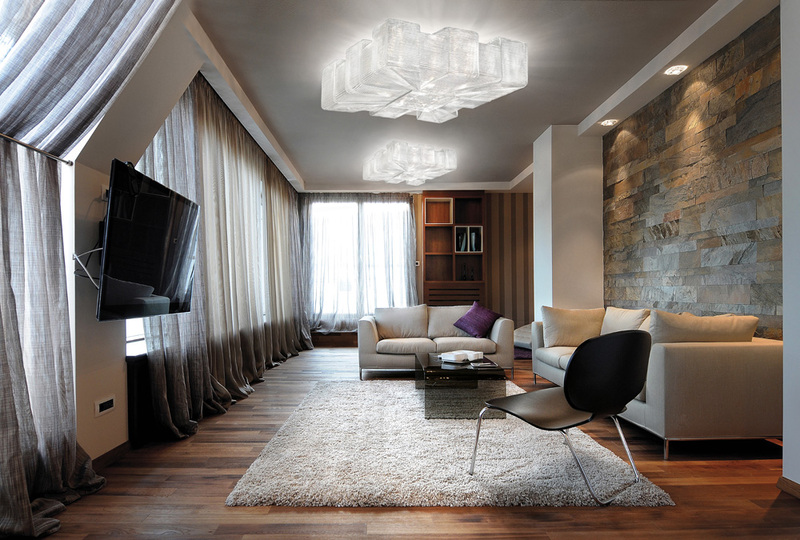 This collection is characterized by enveloping forms which outline the space, simple but perfect. 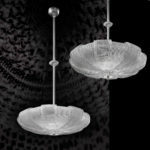 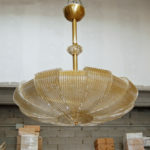 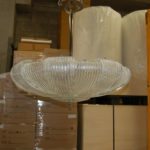 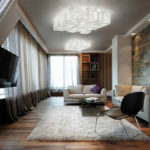 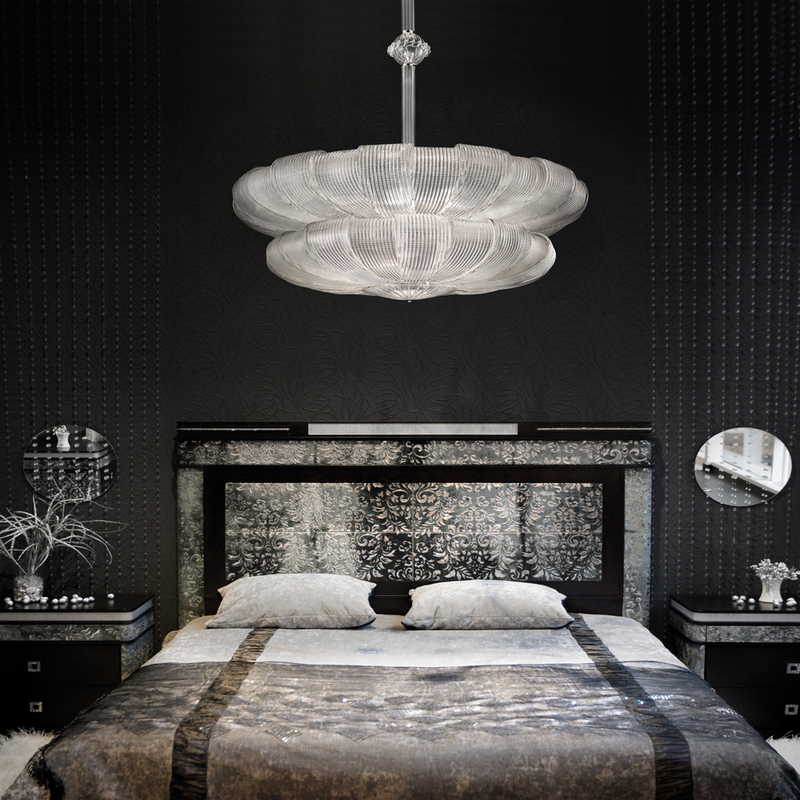 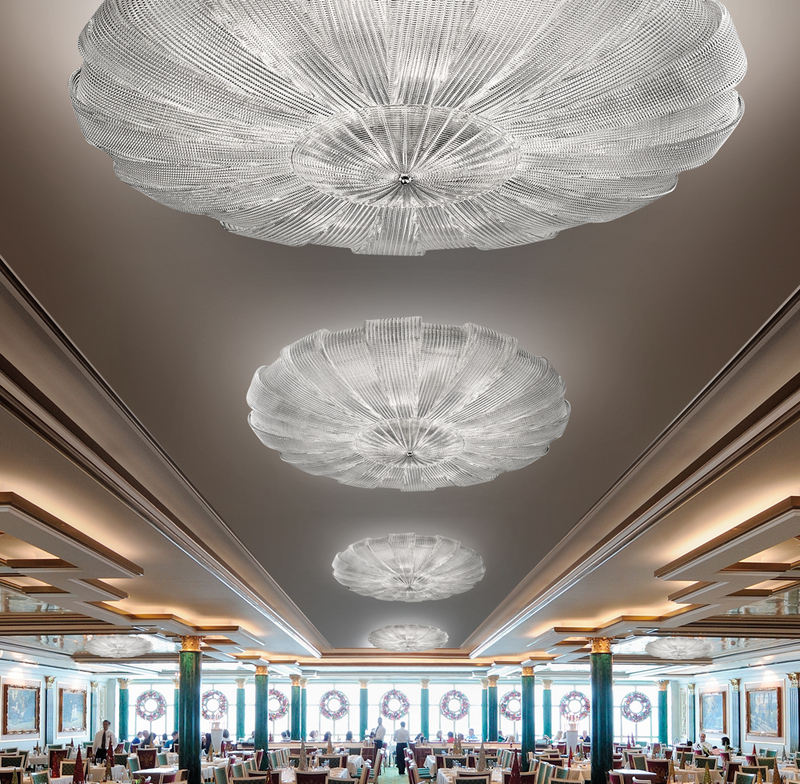 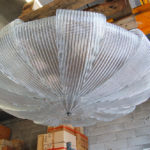 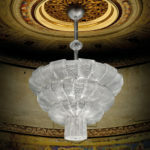 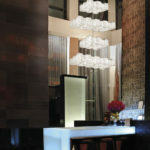 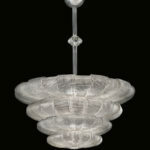 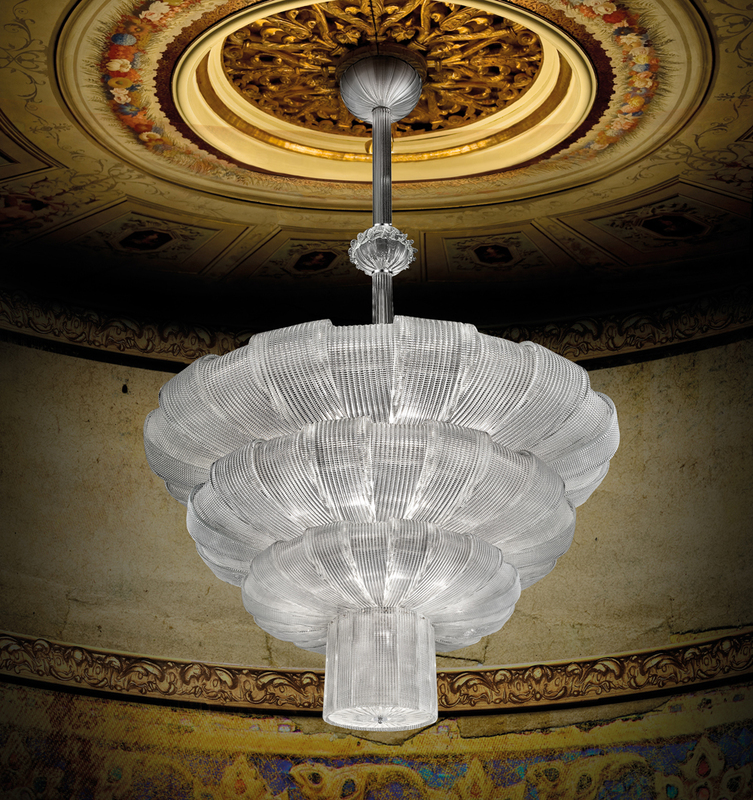 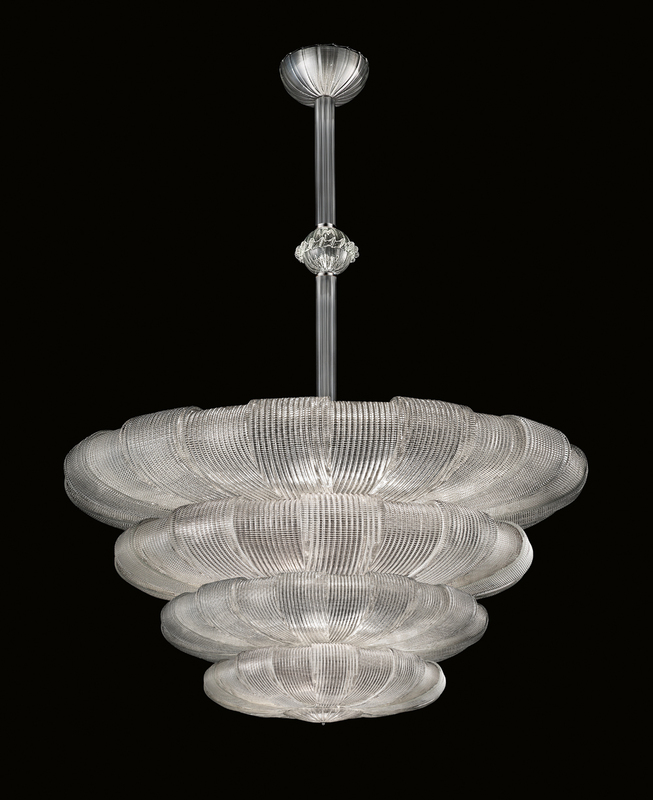 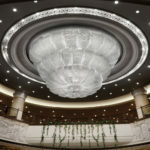 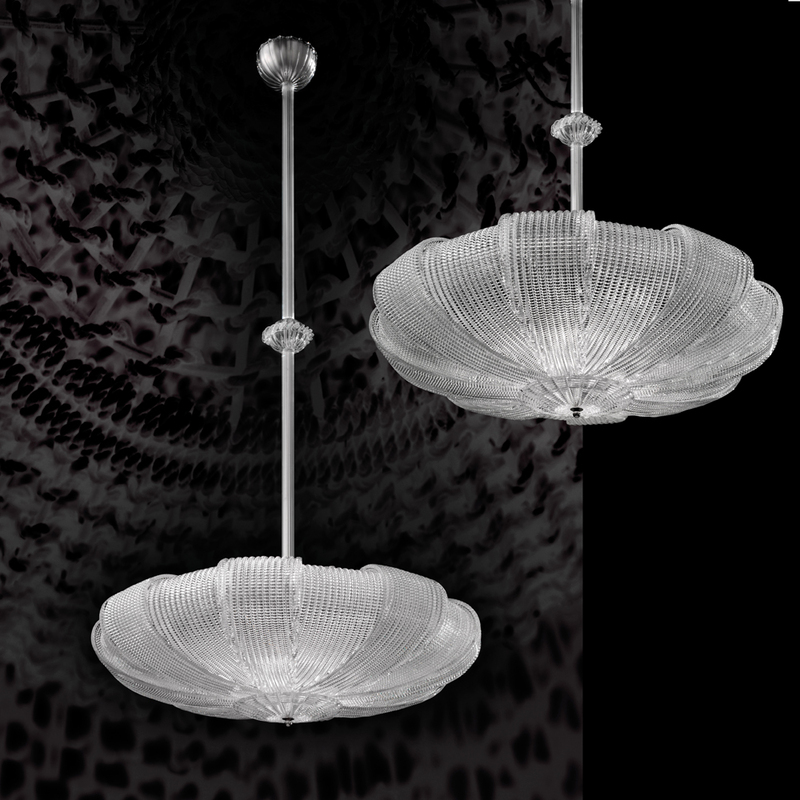 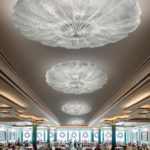 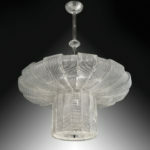 Refined details embellish these handmade glass creations: handmade blown Murano glass bubbles and handmade glass cups enhance the light pendants. 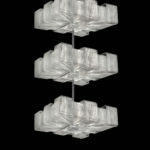 The appreciation for this line inspired our designers to imagine new solutions and to create Overlap 2 collection. Square shapes characterize the collection, which gives new developments to the game of superposition. 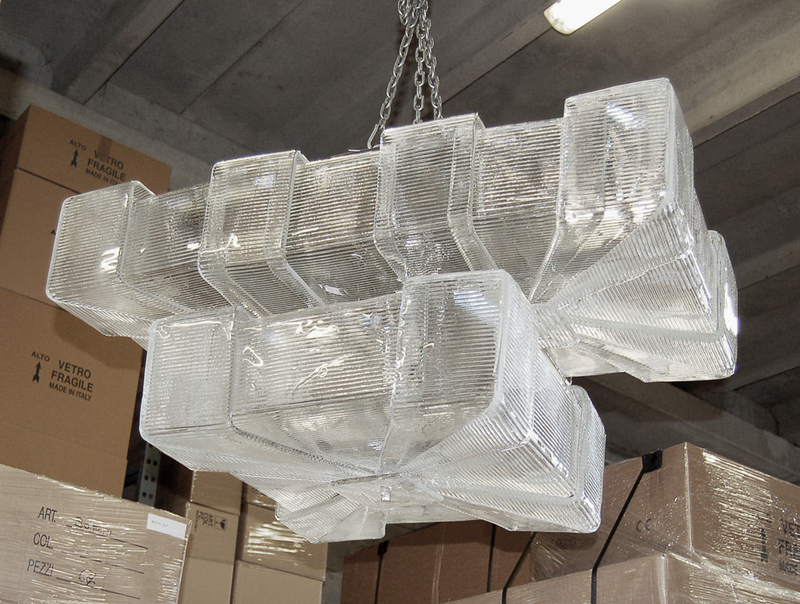 The same refined glass processing techniques give life to creations with a more contemporary design.